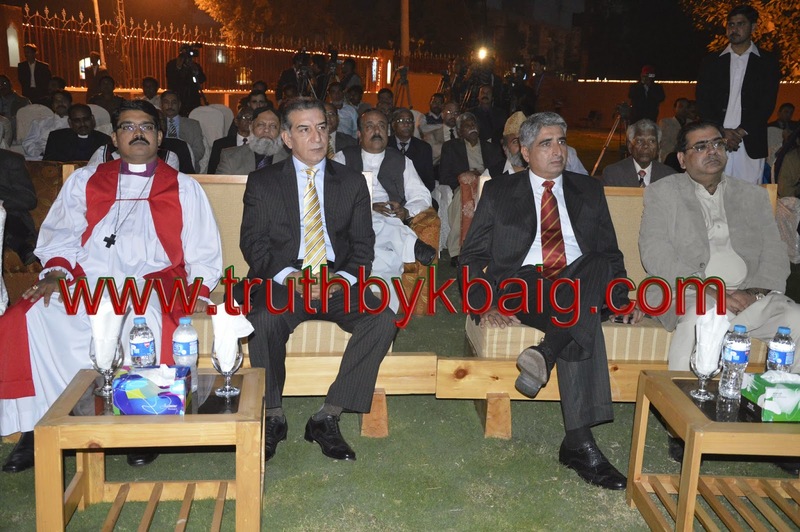 Truth by Kbaig: Mark of Inter-Religious Harmony and Restoration of Cultural Heritage in Multan! Mark of Inter-Religious Harmony and Restoration of Cultural Heritage in Multan! The nation that cannot preserve its history, its identity is lost away into the chapters of history. History is not the name of the stories and references told in the books but the importance of Historical Monuments and Cultural Heritage on ground is far more than stories in books of history. Alas! We residents of Multan have badly failed to preserve our cultural heritage. This is the reason that despite being one of the oldest civilizations of the world we (Multanis) have the references in historical books but nothing available on ground. Despite of being the Capital of the state, consisting of wide plains for thousands of years the identity of Multan is limited to only “گردوگرما،گدا گر و قبرستان” (Dust, Hot Weather, Saints and Graveyards). That is why whenever development of civilization or culture is discussed Multan is not mentioned anywhere; there is only Punjab or Indus Civilization but no one is ready to disclose that how and from where these two civilizations came into existence while Multan is accepted to be one of the oldest cities of the world that is still inhabited which has its references in different books. According to these references the state of Multan was spread to the coast of Makran with different names while Hind and Sind was not a state but regional identity. For example a book “Chach Nama” written by Ali Muhammad Kofi (a tourists) in Arabic language was translated into English by Deputy Commissioner Hyderabad Mirza Kalech Baig and published on 20 November 1900 with the name of “Ancient History of Sindh”. Ali Muhammad Kofi came from Syria in 1216 and got inhabited at Uch Sharif. His book covers period of Raja Chach to the arrival of Muslims in Sindh. After reading this book it seems there is further research needed over the words Sind, Hind and Ind (from which India was derived). If we look at the words Sind and Hind these words or names used for identity were used in Sanskrit or even the languages spoken before it to denote the area across the river or around the river. The name Multan was given to this region or city after arrival of English otherwise it has dozens of names. Moreover, the Name Hind or Hindustan was given by Mughals that is why in 2004 an important figure of India, Mulayam Singh Yadav along with other Indian politicians demanded that name of India should be changed to “Bharat”; they were of the view that Hindustan was the name given by Mughals and when English defeated Mughals they (English) were not able to pronounce “Hind” so they named it as “Ind” i.e. India, this name had already been widely used due to East India Company. Let’s look at the history of Multan from another reference; in 641 a Chinese researcher and tourist “Hiuen Tsang” expressed his surprise in these words, “the presence of 5 rivers (Ravi, Sutlej, Beas, Jhelum, Chenab and Indus) in the same region and its fertility shows that Multan might be the oldest civilization of the world because human beings settled in the form of villages or cities in those areas where water was abundant in the form of rivers or streams to fulfill human requirements of food”. In the same way if we study the travelogue of Sheikh Abu Abdullah Muhammad Ibn-e-Batuta from 1324 to 1354 that was translated into English by George Rutledge and published with the title of “Ibn-Batuta Travels in Asia and Africa” in 1929. Although Ibne Batuta’s travelogue consists of 75000 miles but whatever is written into it is enough to put light on the historical importance of Multan. Following lines are written on the page 181 of the book, “When we reached the river called Panjab, which is frontier of the territories of the Sultan of India and Sind, after crossing the river of Sind called Panjab, our way led through a forest of reeds in which I saw a Rhinoceros for the first time”. This paragraph shows that at that time Indus River was known as Panj Aab not as Indus. In the same way this line is written on page 186 of the book, “From Uja I travelled to Multan the Capital of Sind and residence of the Principal Amir”. However, if we ask today any historian, politician, teacher, professor or University’s department of History that where and at what point Ibne Batuta met Amir of Multan, perhaps no one would be able to answer it. This would be something from past if we ask that where was the Palace of Mulraj the ruler of Multan, whether he has any house or not; no one would be able to answer it while if we look at the history this is only 200 years back which is considered in history as something of near past. The condition of our indifference to history of Multan is that “Sheesh Mahal” resident of Nawab Muzaffar Khan, ruler of Multan was not destroyed even by the Mulraj when he captured the Multan city and even English preserved the Palace when they captured Multan in 1848 but few years ago our provincial govt. demolished such a historical cultural heritage and constructed hospital over there while govt. could have easily acquired land from anywhere else for hospital. Not only this Sheesh Mahal, Hindu Temple of Prahlad Bhagat that was 5000 years old was destroyed as a revenge of destruction of Babri Mosque in the hands Hindu Extremists. While no one from Hindus has visited this temple for worship since 1947 and it was used as a store of wheat grains for the visitors who visited a nearby shrine of Saint Hazrat Bahauddin Zakariya Multani. If we look at the history of Multan it can be divided in five parts; (1) Time before the arrival of Arians (2) Period after arrival of Arians, reinstatement of Hinduism and period of Brahmans (3) Muslim rulers and after them rule of Mulraj (4) Arrival of East India Company after defeating Mulraj (5) Multan after 1947. It is not possible to cover the whole topic in a single article; however, we will only discuss here historical buildings that are present at that time. Multan has few old monuments or historical remains of Hinduism, historical mosques, shrines of Sufi Saints; moreover, fort whose central gate was reconstructed at the time of Ayoub Khan and named as Baab-e-Qasim (Qasim’s Door) and fort was named as Qila Quhna Qasim Bagh, old wall around the city and few buildings constructed during English reign are still present. However, the building present within the cantonment are intact and preserved in their original condition due to the care taken by Pak-Army, while the credit of preservation of historical buildings outside cantonment also goes to the army as well who preserved few gates over the firewall of city by reconstructing or repairing them. 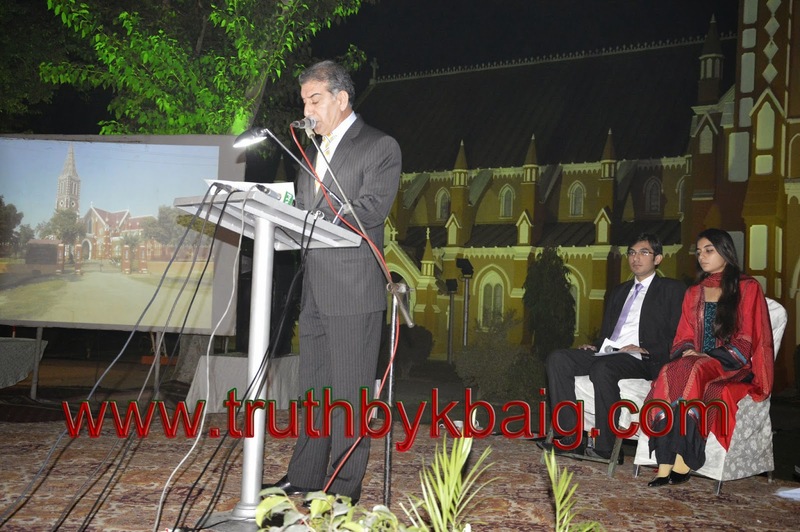 Moreover, all the historical buildings present within the Multan cantonment are in the use of higher command of Pak-Army or Garrison, one of them is Multan Garrison Mess (MGM) building consisting of 13 domes which is always open for the general public of Multan or the historical Saint Maries Cathedral Church located on Qasim Road that was constructed 165 years ago; this Church was built where English army had camped before attacking Mulraj, those soldiers who got injured during the war were shifted to this place for treatment and those who were killed in the war were given funeral rituals at this place so this place was much important for English. 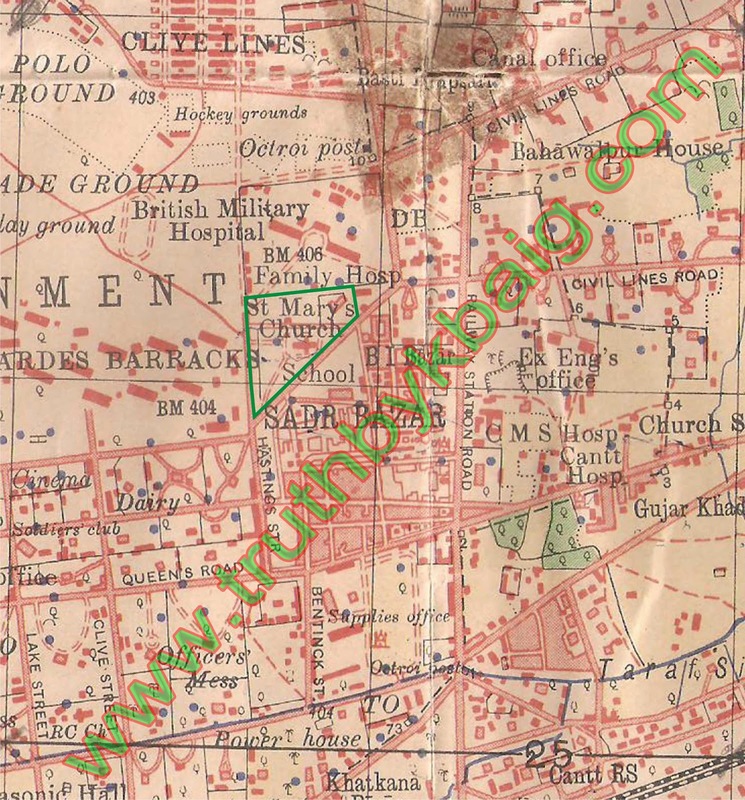 After a long war when English army defeated Mulraj and decided to establish cantonment keeping in view the historical importance of Multan, the plan for roads, construction of buildings, settlement of civilians was planned, English decided to construct the church over that place where English army had encamped. The road on the front side of Church was named as Cambridge Road now a days known as Qasim Road and street on the right of the church was named as Hastings street. After passage of long time the building of church become target of depreciation in the hands of time while other buildings were in better condition due to the care they received by Pak-Army. According to international law any building that is older than 100 years gets the status of national heritage. Although, 165 years old building of Church was responsibility of Cantonment Board Multan but Cantonment Board remained indifferent that any attempt to reconstruct or repair the church might be taken as interference in their religious affairs by Christian Community. Brig Taufiq Tahir when took over the charge as Station Commander, the building of the church got his attention; the monument of construction was in poor condition due to lack of care. 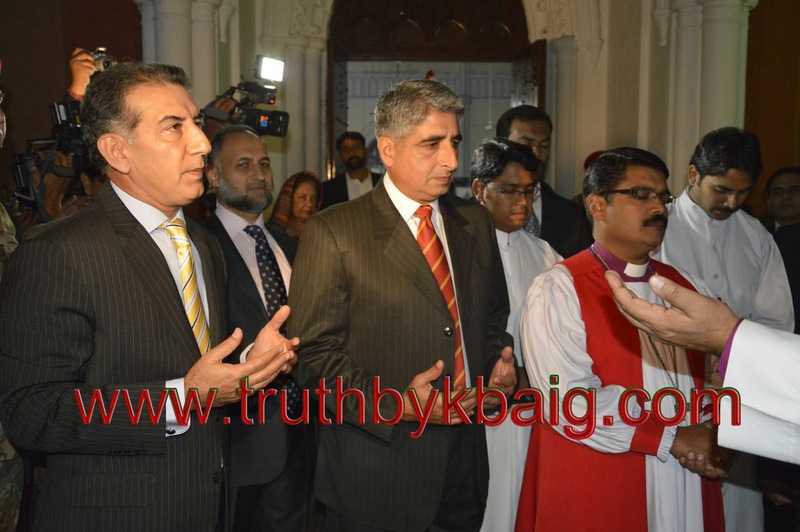 When he contacted Church administration it was disclosed that Bishop of Multan, Rev Leo Roderick Paul was also concerned about the poor condition of the building but due to shortage of huge amount required for restoration of the building it was not possible for him. 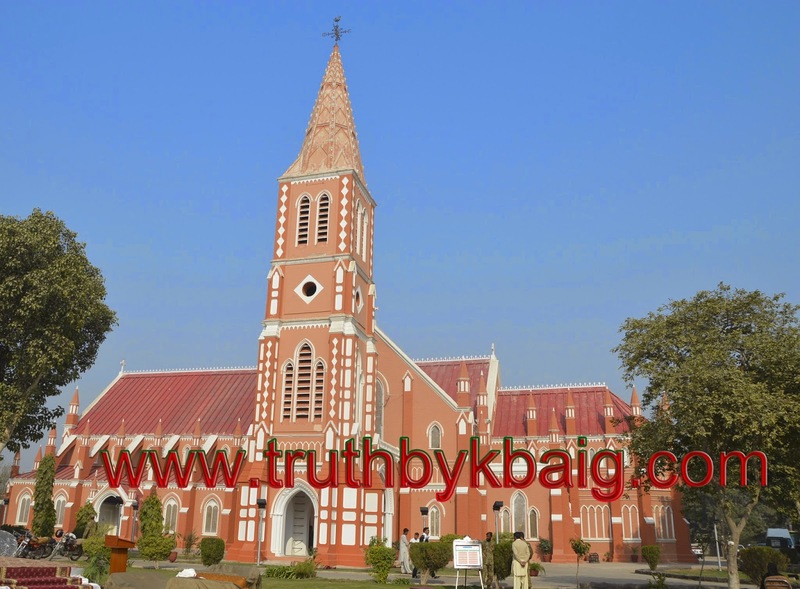 Brig Taufiq offered the services of Cantonment Board for restoration and reconstruction of Church; Brig Taufiq had already taken Commander 2 Corps and Commander 1 Armed Division in this regard. As soon as Bishop of Multan expressed his willingness to accept the offer, Brig Tahir ordered expansion of the Qasim road in front of Church, construction of green belt and landscaping as well as reconstruction and renewal of Church to Cantonment Board Multan. The purpose behind reconstruction of Church for army was preservation of cultural heritage as well as promotion of inter-religious harmony which is need of the hour after different attacks over the worship places and tension created into the brains of the public due to these attacks. 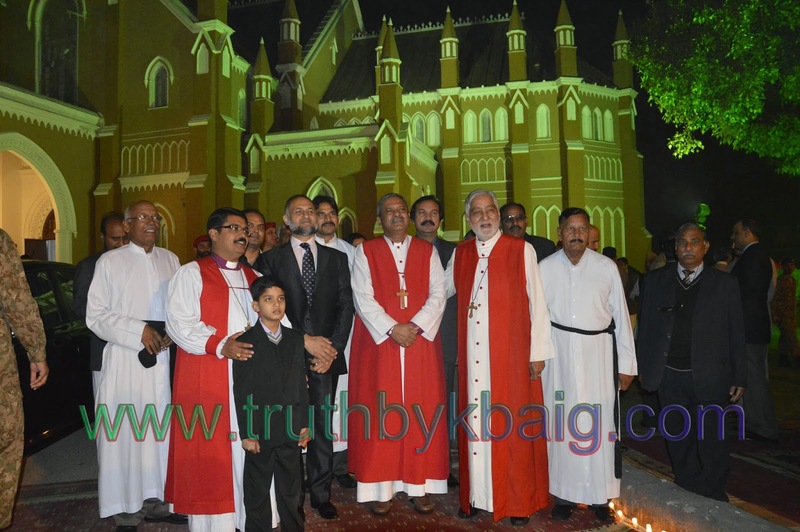 Inter-religious harmony was practically observed when on 08 December 2013 during the inaugural ceremony of the Church, Muslim participants of the ceremony offered Evening Prayers in the lawn of the Church, this scene got the attention of the media and on the other day newspapers published these pictures on their front pages.